Welcome to the Miami Apartment Hostel. We're an internationals-only youth hostel. Each room is uniquely decorated with modern furnishings and high ceilings, including the finest linens and embroidered towels plus modern bunks with amazing pillows. Our facilities include 24hr private laundry, free high-speed Wi-Fi, free HD cable TV, clean bathrooms, luggage locks and a fully equipped, modern kitchen. You can relax on our private deck and patio. Our delicious free breakfast includes coffee, tea, orange juice, fruits, cereals and croissants. Located less than a half-hour drive from Miami airport, our hostel combines the magic of a quiet getaway with the convenience and excitement of big city life. 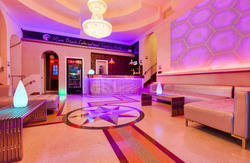 Come stay with us and you'll understand why South Beach is considered Miami's best unkept secret! Please note that we do not permit US residents or guests over the age of 29. The journey takes about 30 minutes and will cost $35-$45. We also offer airport shuttle pick-up for $35 per person from MIA or $50 from FLL upon request. Our contact details will be in your booking confirmation email. A) walk westbound on 16th Rd or Lincoln Rd for 10 blocks to Bay Rd then go to 1620 Bay Rd. B) take a taxi to 1620 Bay Rd. 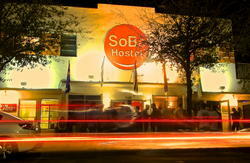 C) Wait in the same location for the S.B.L (South Beach Local bus $0.25 dollars) to take you to Lincoln Rd and Alton Rd. Then walk from there westbound to Bay Rd for two blocks.